Rectifiers are necessary for electrical industry. Because, we can not always using the AC current for all kind of machines. At this point, rectifier is used for converting alternating current to direct current. As Mak Plus Power systems design and produce various kinds of rectifiers according to your needs. Galvanizing process is one of the areas that rectifiers are used commonly. Microprocessor controlled 36V 600A rectifiers with the thyristor technology are fully automatic power supplies that are used to supply you with the desired current for your production. This system gives high accuracy, sensitive DC voltage and current regulation. It gets high quality results during the galvanizing process. One of the most important feature of the thyristor controlled systems Mak Plus Power Systems offer you is the pulse based current control rectifier. The plating reaches to the smallest recessions on the surface when you use pulse base procedure. This solves all your plating problems with the areas that are out of reach. In addition, our long year experienced engineers design 36V 600 A rectifiers to save you time when it’s compared to the traditional plating. As Mak Plus Power Systems, the galvanizing rectifiers we offer are equipped with the latest AC power control unit. This unit ensures that the chances of malfunction are minimized and it also increases the functions of the 36V 600A rectifier. With this new AC drive unit, the possible errors are prevented even before they occur. Therefore these rectifiers can endure even the most difficult of circumstances without being concerned about problems that can occur about safety. The new drive system can work with a remote control and it has an automation system. These rectifiers come with a timer which enables you to set it to work for either a limited time or continuously. When it is set to work for a limited time, the rectifier works until it reaches the desired values and then it stops automatically. At the end of the process, the operator gets a warning. When it is set to work continuously, the rectifier keeps functioning normally until the operator interrupts the process when it’s desired to. ​The rectifiers Mak Plus Power Systems produce have an ampere per hour calculation feature which allows you to receive the most reliable data that was obtained during the process. You can also adjust the plating process by ampere/hour instead of using a deadline. The operator panel views both the coating process and the sum of all the transactions that has been made. This system allows you to add chemicals to the pool automatically. 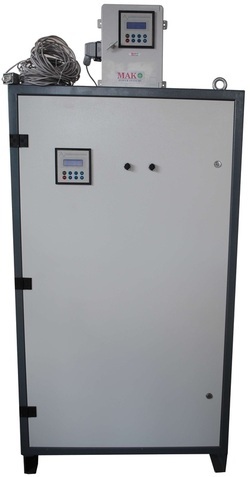 Mak Plus Power Systems understands how important the chemical concentration is, especially in critical baths, therefore we offer you the M-RC series rectifiers that enables you to control the chemicals as well as obtain information about the system. As Mak Plus Power Systems family, we are always here to supply you best rectifier solutions for your requirements. For more information, please do not hesitate to contact with us.